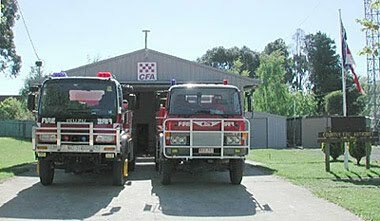 Trentham CFA - Trentham. Cool country. The Trentham Volunteer Fire Brigade operates two 34L tankers out of the Fire Station in Market Street (next to the Trentham Milk Bar). The Brigade meets on the first Monday of every month, with training held on the second Tuesday of every month. The Brigade welcomes new members, so come along to the next meeting!